Drama telling the story of Blue, a young man of Jamaican descent living in Brixton in 1980, as he hangs out with his friends, fronts a dub sound system, loses his job, struggles with family problems and has his friendships tested by racism. 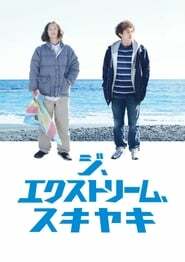 Former college buddies Horaguchi and Okawa suddenly reunite on a whim after 15 years apart and try to resume their friendship by planning a trip together. Meanwhile, Okawa’s live-in girlfriend Kaede and the pair’s old friend Kyoko get roped into joining them. Soon, the four head off on a trip together with the goal of sharing sukiyaki by the sea.